FOR the "Phone Session Form", CLICK HERE! FOR the "Phone Minutes Form", CLICK HERE! FOR the "Email Reading Form", CLICK HERE! FOR the "Recorded Reading Form", CLICK HERE! FOR the "Past Life Profile Form", CLICK HERE! FOR the "Soulmate Profile Form", CLICK HERE! FOR the "Product Order Form", CLICK HERE! To MANIFEST MONEY for a Session/Reading, CLICK HERE! * Last but Not Least: You MUST READ This! POWERFUL INFORMATION TO HELP YOU HEAL YOUR LIFE! * PHYSICAL: When your problem is with your body, past life healing and energy work can help you to feel more vibrant! * MENTAL: When your problem is with your mind, past life healing and energy work can help you to think more resourcefully! * EMOTIONAL: When your problem is with your emotions, past life healing and energy work can help you to experience more peace! * SPIRITUAL: When your problem is with your spirit, past life healing and energy work can help you to move forward karmically! * Heal YOUR Life NOW: Since you are unique, your healing session/reading will be customized to meet your specific needs. You will receive the **EXACT** information you need to heal and move forward in your life. I will make every effort to make your session/reading a pleasant, uplifting, and rewarding experience. * Connect with Your TRUTH: You will receive personal information to advance your healing process. This will also help you connect with your truth. This is how you will know it is your Higher Self and your guides speaking directly to you. * Whatever Healing YOU Need: You will get whatever you need from your session or reading. Typical Phone Sessions may include information on your past lives or comments from your Higher Self. Energy work may be performed to accelerate your healing. Since spirit is guiding our session, know that whatever work is done and whatever happens will be what is best for you. * RESULTS Achieved: Check out my years of feedback by looking through the abundance of testimonials in our Guestbook. Actual case histories are presented on this website to give you an idea	of what to expect from your session/reading. * Personalized! You can ask questions based upon the information that emerges during a Phone Session. It is the "give and take" in our sessions that make them so valuable for you. Your questions ensure that your session is "uniquely tailored" to your needs. * Comfortable! Since you are at home, you can assist your healing process by getting water, food, & whatever else you need during the session. Immediately afterwards, you can more easily integrate the healing by cleansing and resting (instead of driving back home). * Recorded! When the session is conducted over the phone, I can record the call (for a minimal fee). This frees you from having to take notes on the session since you will have a complete record of it. * Savings! When you call me, this helps me to keep my costs low and my services affordable. I only do live readings by phone. I no longer give readings in person (sorry no exceptions will be made). * Easy! Just enter your questions on our easy to use form and let us know how much insight you want to receive about your situation. For FAST answers and for clients too distant or too busy to call, Email helps to bring the world together to heal past lives. * Convenience! The answers to your toughest questions are as close as your emailbox. Since you are asking about your specific issues, you will receive answers that you need to heal and move forward in your life now... in total privacy... and in strictest confidence. * Recorded! The beauty of an email reading is that you will have a complete record of it. If you need clarity on the information provided, just email me and I will respond promptly free of charge. Yet, if you ask follow up questions, that would require an additional paid reading. * Savings! When you email me, this helps me to keep my costs low and my services affordable. I will do live readings by chat (only if I do not have to join your chat service and I can login for free). * Optional Preparation: You will get the best results if you make a list of the physical, mental, emotional, or spiritual issues you want to heal as a result of your session. This list could include such items as long standing physical illnesses, mental dilemmas, intensely emotional situations, relationship difficulties, recurring issues or concerns, restrictive belief systems, or painful past experiences that are limiting your present physical, mental, emotional, or spiritual well being. * Your Intention: The more you put into preparing for your session, the more you will get out of it because you will focus inner beings on your goals. It is the strength and clarity of your energy and intention that will make your session successful. * Your Questions: I do not need to see your questions in advance. These are for YOU. I recommend that you prepare a list so you can cover all you intend to ask so you get the most out of your session. For a list of questions that are commonly asked and problems that are resolved during healing sessions, click here. * Deeper vs Broader: The longer the email reading, the more you will get out of it. Yet, at any level of email reading, you must decide whether you want a deeper reading on certain questions (meaning there must be fewer of them) or a broader reading (meaning there will shorter answers to more of them). * Additional Questions: If I have not yet sent your email reading, you are free to send additional questions. If I receive them before I complete your email reading, I will include the answers in your reading free of charge. * Scalable Readings: Most customers are very reasonable in the number of questions they are asking for the level of reading they have ordered. More information will be provided for larger readings. Yet, if there are too many questions, I will only answer the most important ones (according to your guides). * Scheduling: The fastest way to schedule an appointment with me is to use the online Phone Session form. You can also Email me at ellen@healpastlives.com or call me on (856) 988-0197 - the Appointment Telephone Line - which is secure Voice Mail (it is not on an outside service and is only accessible by me). * Acknowledgment: Within 1 to 2 business days, I will send you an email acknowledgment that will read like this: "Just a quick note to let you know that I have received your request for a Phone Session (thank you!) along with your payment information (thank you again!)." I will either accept the day and time you have suggested or I will suggest alternatives. Once we agree on the time, I will send you a final confirmation of the appointment via email. * Office Hours: I work with clients all over the world. My regular office hours are Monday through Friday from 12 noon to 12 midnight US Eastern time. I will do my best to accommodate your needs/situation when scheduling appointments. I am available for emergencies on Sunday evenings after 7 pm Eastern. * Request: The fastest way to request an email reading from me is to use the online Email Reading form. 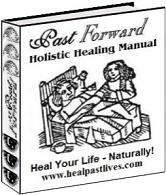 You can also Email me at ellen@healpastlives.com. * Acknowledgment: Within 1 to 2 business days, I will send you an email acknowledgment that will read like this: "Just a quick note to let you know that I have received your request for a Email Reading (thank you!) along with your payment information (thank you again!). The results of your Email Reading will be completed and emailed to you within [the current number of] business days [Monday through Friday]. Your Reading is customized for you and so takes some time and care to complete. Be sure to have some free space in emailbox to receive it. If it does not arrive when you are expecting it, please check your bulk mail folders first to make sure that it was not sorted there by mistake. Otherwise, after [X number of] business days, just email me to inquire after it. Thanks for being such a great customer. You will be hearing back from me soon. In love and light, Ellen"
* If Emailing: Remember that although my site is online 7x24x365, I only work from Monday through Friday. So please recognize that you will not hear from me on weekends and US holidays. If you do not wish to wait, I will give you a refund. * Calling at Appointment Time: Call me on (856) 988-9716 - the Channeling Telephone Line - which is setup to record both sides of our conversation. To keep my services affordable, I do not call clients at session time. * Session Time: The normal session is 60 minutes/1 hour. If you want extra time, it will be charged at the rate of $1/minute. This option is only available to those who have paid by credit card (PayPal customers will have to schedule another session). * Line Drops: When the telephone line drops, I will wait for you to call me back. If the line drops frequently because cell phones or Voip (Skype, etc) are used, I will allow 5 extra minutes to accommodate these techno-driven interruptions. * Phone Minutes: For customers with good credit and a credit card on file, sessions can be for the number of minutes they choose (30 minutes minimum) at the rate of $1/minute by using this online form for Phone Minutes. * Phone Session Recording: If you have ordered a recording of your session (recommended), you will receive a digital voice recording in the form of a .WMA sound file. This .WMA file can be converted into any other popular sound format (like MP3). I do not convert files as there are many free converters online. * Phone Session Sound Quality: The recording is only as good as the phone line will permit. The best quality recordings come from land-line telephones. The poorest quality recordings come from cell phones or Voip (Skype, etc). At times, the phone will "drop out" on the recording, meaning that if we could hear one another while speaking... that will not always be picked up by the recording. This cannot be helped and no refunds will be given for recording "drop outs". * Recorded Readings: This is a reading in response to emailed questions that is recorded in an audio file. It will be in a .WMA file that can be converted into any popular sound format. The recording is digital and contains minimal background noise. It combines the detailed information from the spoken word (like a Phone Session) with the convenience and privacy of an Email Reading. * Download: If you have ordered a recording of your session, it will be available shortly after the session via download link. It will be available for two (2) weeks after the session and then will be deleted. So please download it on a timely basis. If you are having trouble downloading your recording, then click here! * White List: If you are using a "SPAM" service to filter your email -or- if your email provider features SPAM protection, you will need to white list the email address of ellen@healpastlives.com so that you will receive your reading. * Emailbox Space: Be sure to have enough free space in your emailbox to receive your reading. I will not get a notice if your email has bounced because you are over your quota. So if you believe that your reading has been lost, please email me. * Non-Work Email: If you are requesting an email reading, make sure to provide an email address that is NOT delivered to your work. Many employers will block these kind of non-work emails and may prevent you from receiving your reading. * Bulk/Spam Mail: If your email reading does not arrive when you are expecting it, please check your bulk mail/spam folders first to make sure that it was not sorted there by mistake. If you have auto-deleted your bulk mail/spam folder by mistake, email me for another copy of your email reading. * Broken Links? : If you double click on a link in your email reading and it does not seem to work, copy the link and paste it into your browser. Not all email programs support double clicking on links. Those which do can be unreliable. * Download Trouble: If you are having downloading files that are referenced in your reading, then please do these things first before emailing me for help. One, make sure you have enough free space on your PC to receive the files and you know the directory where they are stored. Two, make sure your Internet connection is active and your File Transfer program is working properly (test them first). Three, turn off all your firewalls temporarily before downloading. * Payment is Expected: BEFORE services are performed. Credit card information must be supplied when the Phone Session appointment is made or when the Email Reading is requested. PayPal payment must be completed the day before the Phone Session or along with the Email Reading. Please note: Phone Session appointments will not be scheduled without payment information. * Fee for Phone Session: is $60 US for an 1 hour session. Extra time will be charged at the rate of $1/minute. This option is only available to those who have paid by credit card (and not for PayPal customers). This applies to all services except for custom energy work ($120 per hour) and Remote Releasement ($150 flat fee, includes recording) [this is reviewed with you in advance of the session]. * Fee for Session Recording: The cost of recording the session is $15 and is NOT included in the session fee. So if you want a copy of the recording the total cost for the session is $75 ($60 + $15). I usually (but not always) keep a copy of the recording for research purposes. So if you want a recording after the session (if it is available), the cost is $20 [be sure to specify the session date]. * Fee for Email Reading: ranges from as little as $25 US to $120 US depending upon the level of assistance that is requested and paid for. I will do my best to answer all your questions given the level of the reading you have selected. * Merchant Name: The credit card charge will appear from "The Fun Life Company, Marlton NJ" which is our business name on our merchant account. * Foreign Currency: All prices are listed in US dollars. We have no local foreign currency facilities and so can only accept US dollars as payment. * Reasonable Fees: My fees are not open to negotiation. I no longer will barter for services. I will not consider a sliding scale. I do not haggle. All these just encourage a poverty/lack mindset: better to create a prosperity for free (next). * Payment by PayPal: PayPal is FREE, Fast, and Secure: PayPal allows "registered users to send a payment via Email to anyone with an Email address (ours is ellen@healpastlives.com) just by writing a dollar amount into an online form. When the Email is sent, the payment is charged to your credit card or bank account." If you are not a registered PayPal user, all you need to do is "fill out their online form which takes five minutes". PayPal is popular with those who have a bank account but not a credit card. Bank account verification takes from 2 to 4 business days and must be completed before your PayPal account can be used. To get your FREE PayPal (an eBay company) account, CLICK HERE! * Payment by Credit Card: All credit cards (VISA and MasterCard only) will be charged BEFORE the session begins. Credit card charges will ONLY be posted AFTER the session is completed. For your credit card charge to be processed, you MUST include all of the information that is required by the online form. * Payment by Debit Card: There is no difference between debit and credit cards when they are processed by us. The difference is on the your end (debit cards act like a check written on a bank account while credit cards act like loans). * Payment by Cash: I recommend that you do not send cash through the mail. If you do, it is at your own risk. I cannot be held responsible for any cash lost in the mail. Yet, if I do receive the cash payment, I will do the work associated with it. * Restricted Cards: Some countries (like Canada and the UK) issue credit/debit cards which will not accept charges from outside their country. Some debit/credit cards will be limited to business only purchases. Using these debit/credit cards through PayPal gets around these restrictions (it is available for most countries). * VISA Gift Cards: are available from most banks and from some retail outlets. You do not need to have a bank account to purchase them and they are safer than the following forms of payment that are no longer accepted (which are listed next). The BEST substitute for banned forms of payment are: VISA GIFT CARDS! * Payment by Western Union: Due to the bad karma (read high degree of fraud) typically associated with Western	Union transactions, we will not accept them. Western Unions received will automatically be returned to the sender. * Payment by Personal Check: We no longer accept personal checks because we have experienced a high degree of fraud associated with them. Presently, the bank fees are such that is no longer cost effective to accept them. Personal Checks received will automatically be returned to the sender. * Payment by Money Order: We no longer accept money orders because we have experienced a high degree of fraud associated with money orders. Presently, the bank fees are such that is no longer cost effective to accept them. Money Orders received will automatically be returned to the sender. so your satisfaction with our services and products is our primary concern. We only want to have happy and satisfied customers. * Money Back Guarantee: If you are not happy with your reading, I will refund your fee by reversing the original transaction (refunding the PayPal payment or crediting the charge). If you are unsatisfied with your Phone Session, just say so BEFORE it ends, and your charge will not be posted and will not hit your credit card. If you are unsatisfied with your Email Reading, you must request a refund. * Cancellations: If you need to cancel your Phone Session or Email Reading for whatever reason, the first cancellation is free. After that a $10 cancellation fee will be assessed for any other cancellations. After three (3) cancellations, no further appointments will be scheduled and no further readings will be done. * Refunds Defined: Refunds do not include genuine mistakes like accidental double purchases or the return of checks and money orders inadvertantly sent. Refunds mean any return of funds for products or for services rendered including credit card chargebacks and reversals of PayPal transactions. * Refunds: While a refund will be promptly and	cheerfully given, once it is given, this automatically and permanently disqualifies you from receiving further products and services. With PayPal, you will receive only the net amount that we received (which is the full amount less the PayPal processing fee). * Why? : Refunds are rare but are so costly in both time and money that we have been obliged to adopt this firm refund policy. No exceptions will be made. * Abuse: I am sorry to have to write these words but... although we are happy to serve, that does not entitle anyone to treat us in an abusive matter. Those who do will be removed from the FREE Ezine, Guestbook, and will be blocked from Emailing us. If Emails are sent anyway, five (5) automated warnings will be sent back requesting no further contact. After all the warnings are exhausted, violators will be reported to their ISP and/or law enforcement authorities if necessary. * Libel: I am sorry to have to warn those who choose to write untrue things or to misquote this site, that they will be prosecuted to the fullest extent of the law. Opinions are not a problem: libel is. If this libel is posted online, the web host must immediately remove it all from their system or face similar prosecution for libel. * Copyright Infringement: Please be advised that any person, business, or other organization who has republished "paid content" (specifically but not limited to ebooks and audios) from this site will be prosecuted to the fullest extent of the law. If this "paid content" is posted online, the web host must immediately remove it all from their system or face similar prosecution for intellectual property theft. LAST BUT NOT LEAST: YOU MUST READ THIS!!!!!!!! * Legal Notices: Here is the legal stuff I am required to tell you (I live this life in the liability conscious United States). Your session is not - and is not intended to be - medical or psychiatric treatment and/or a replacement for such treatment. * Holistic Counseling: Our healing session is not a substitute for professional medical care and is not intended to replace your doctor, chiropractor, psychiatrist, or any other health care professional. It is holistic counseling from advanced spiritual beings which is facilitated by Ellen Mogensen acting as their channel. * Possible Consequences: From a legal standpoint, I do not take responsibility for any possible consequences from any treatment, procedure, dietary modification, action, exercise, application of medicine or preparation by any person receiving our healing. Although from a karmic standpoint, I do take complete responsibility, and that is of more importance to me! Now I can breathe free... of lawyers.